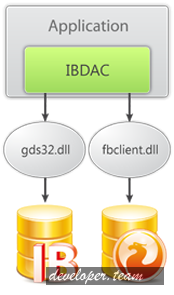 Develompent for iOS and Android mobile devices using IBDAC becomes still easier, as IBDAC allows your mobile applications to work with InterBase database as simply as desktop applications do. IBDAC doesn’t limit your choice of the development platform. Now you can develop for 32-bit and 64-bit platforms with Delphi and Lazarus (and FPC). If you want to make custom correspondence between InterBase and Delphi data types, you can use a simple and flexible Data Type Mapping engine provided by IBDAC. Use our freeware dbMonitor tool to monitor and analyze all the DB calls made by your application using IBDAC. dbMonitor performs per component tracing of SQL statement execution, commits, rollbacks, etc.